Artist Statement /// My work stems from interest in the effects of time on matter: modification, deterioration and disappearance. Whether the focus is on digital forms or rough materials, large scales of time or microscopic details, the goal of my work is to re-adapt existing objects and materials into parallel contexts where their signified meanings, symbols and cultural connections have become residual ghosts. I like to imagine false paradigms, inexistent branches of research and fictional sciences in order to create unrealistic questionings as a basis for a new work. Form emerges through a process of collecting, filtering and combining phenomena (objects, data, sounds, images) that is linked to the conjecture. There are explorations and structures in this ‚research‘ but no conclusions, except the ones you make. 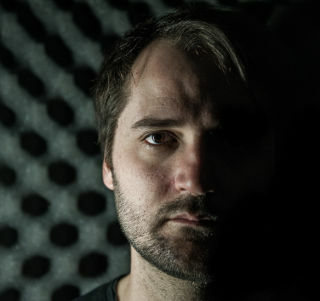 About /// Pierce Warnecke is a sound and video artist currently residing in Berlin. He graduated from Berklee College of Music in 2007 and in 2013 completed his Meisterschüler studies at Universität der Kunst Berlin (Kunst und Medien). In addition to artistic works, he co-curates Emitter Micro Festival and label with Kris Limbach. He has presented his works at KW Institut (Berlin), LEAP (Berlin), FEED (Berlin), Harvestworks (NY), Luggage Store Gallery (SF), Berklee (Boston), CalArts (LA) as well as festivals like Zero1 Biennale, Transmediale, Bozart/BEAF (Brussels), MadeiraDig (PT), LAB30 (DE), Boston Cyberarts, Visionsonic (FR), Pixelache (FR), Vidéoformes (FR), SXSW Interactive (US) and more. He has released music on Khalija, Staaltape, Gaffer and Attenuation Circuit, and Gruenrekorder.